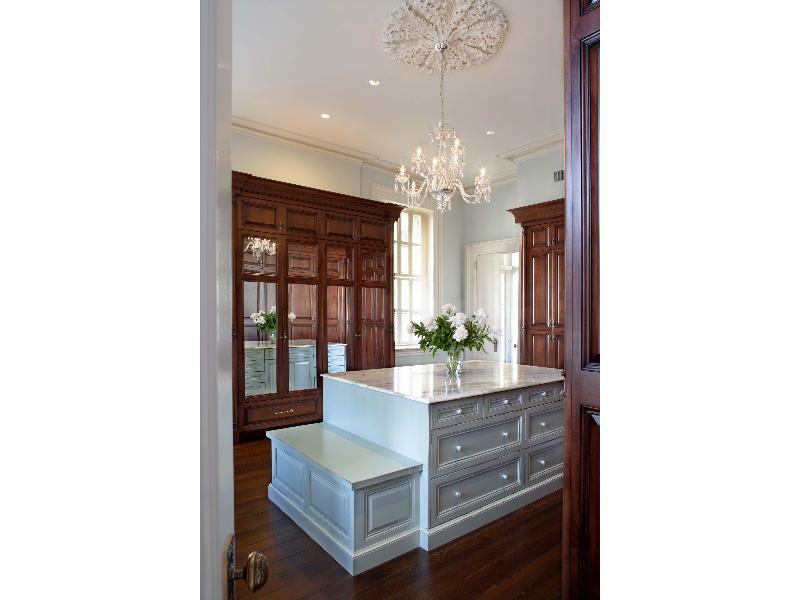 Hollywood glamour can be over the top in some rooms, but in a dressing room it is perfect. Jackie Kennedy's dressing room in the Kennedy White House; still fabulous today. 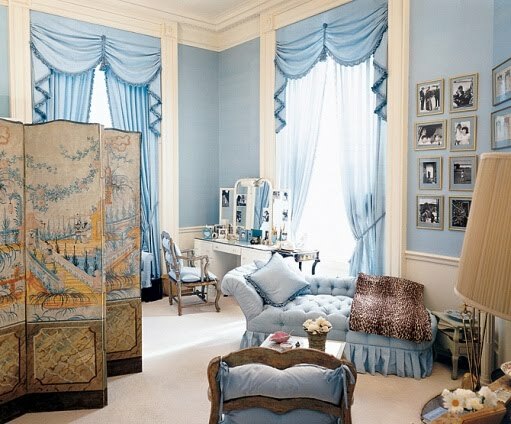 Mariah Carey's dressing room, designed by Mario Buatta. Pure diva, but still not in bad taste. I love the floor. 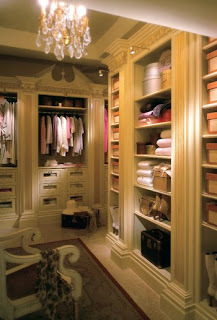 This is my absolute dream closet! Just beautiful! 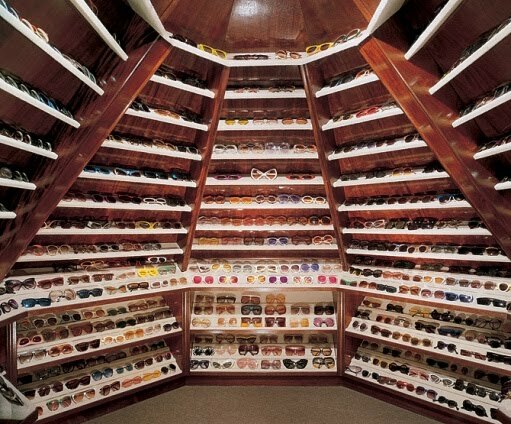 Elton John's closet containing his collection of glasses. A masculine dressing room designed by Mario Buatta. Very Napoleon with the tented ceiling. A closet in a newly redesigned historic home in Savannah. 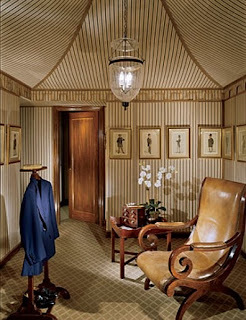 Ralph Lauren's personal dressing room. This closet is so my style. I might be more of a morning person if this was the first thing I saw every day! You could catch the morning news in this well-outfitted closet. 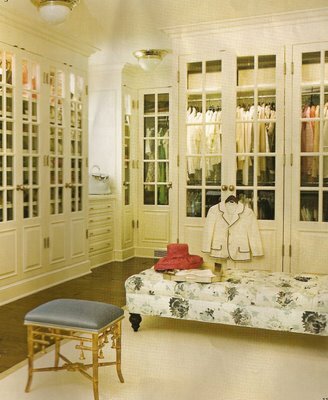 Dressing room in a Kip's Bay Showhouse. No post would be complete without a photo from the Something's Gotta Give house. 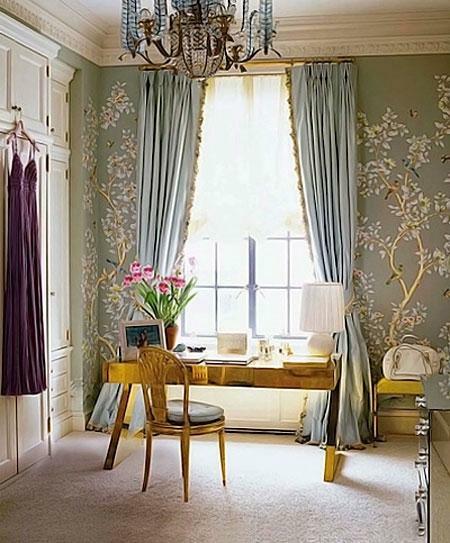 What a beautiful closet/dressing room. After all this great inspiration, I'm ready to get back to work! That's exactly how I live, Tina. Always working on someone else's dream home. My favorites were the ones that are your favorites too! I have a client that I did a million dollar remodel for and they chose not to re-do the closets. She tells me all the time how much she regrets it. I worked hard to convince, she just didn't think it was necessary. A nice closet is such a feel good! Yes, Terrie, I agree. 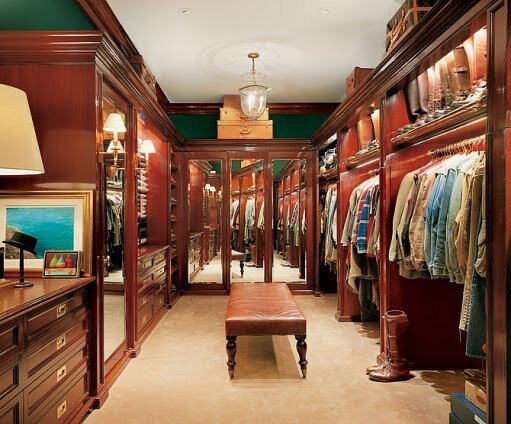 A nice closet would be a great start to your day. I wish people would listen! Thanks for this post I have been collecting ideas for a client for quite a while. I love the second one and of course Ralph's and the last is my favorite so classy. Very inspiring great and such idea to post on what you are working on. 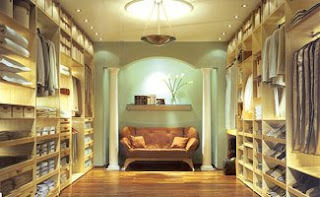 oh I would LOVE to a dressing room like nearly any one of these! they are gorgeous- thank you so much for sharing. 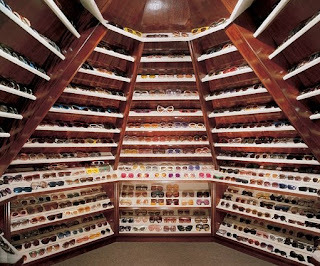 I love all the well organized closets. 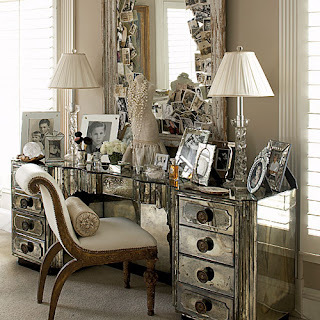 But I would really love adding the mirrored vanity and mirror with all the photographs. How fun, and what a great way to enjoy them. I'm not a fan of framed photos on every possible surface. This is a great way to to have lots of them in a place you will see and admire all the time. Excellent Inspiration! I love the Hollywood Glam! I like to tell my clients to turn their unused rooms into closets! 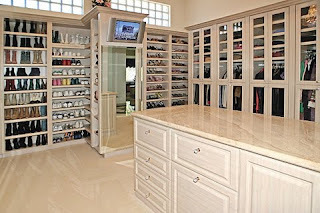 The trend in recent custom closet designs are better to customize dressing room for their own purposes to hang the cloths.it is quite good idea to utilize the unused space. I will certainly jump into any of these anytime. These are all fabulous! We are actually on a dressing room project, turning a spare room into a walk in closet, and I do love a space similar to that of Ralph Lauren’s. Thank you for sharing this post. We certainly got some great ideas from these examples. I am building a new home and would LOVE the Hollywood Glam Vanity as my vanity area. Do happen to have any idea where this item can be purchased? I cannot find one as beautiful as this one!! Will Design Blogs Make Us Get Too Homogenized?